Ribble Tandoori Takeaway is situated against the stunning backdrop of the countryside in the picturesque Ribble Valley. 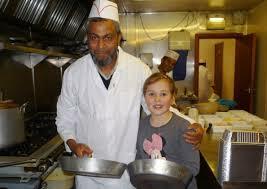 The Takeaway first opened its doors in 1993 and is going to celebrate it’s 20th anniversary in December. Ribble Tandoori’s 20 successful years is testament to the hard work, determination and passion of its team who strive to ensure that customers sample the finest of authentic Indian cuisine. Ribble Tandoori Takeaway prepares all of its dishes in an open kitchen and uses fresh and locally sourced ingredients. The Takeaway prides itself on serving an exciting and delicious array of dishes. From the mild chicken korma to a super spicy vindaloo, the Ribble Tandoori Takeaway has something to offer everyone’s taste buds!